There is a school of thought that claims the current trend for genre-busting crossovers, sporty SUV hybrids and other bizarre automotive mash-ups has gone too far. Who wants a small SUV that can outgun a Porsche Boxster? And who thinks that an off-road vehicle actually needs a supercar-baiting V12 engine? They are all pertinent questions, and ones that are best avoided at a dinner if you aren’t to completely embarrass yourself. But we aren’t conversing over a plate of Nigella’s fragrant couscous, so we’ll give you the short answer: lots of people. Porsche flogs more SUVs than it does sports cars, BMW has swapped ‘Ultimate Driving Machines’ for Chelsea tractors and Jaguar has recently hopped on the faux-by-four bandwagon. High-performing SUVs are hot property and Mercedes knows this, which is why it has handed its newest mid-sized GLC model to Tobias Moers and his boys at Affalterbach to have their wicked way with. 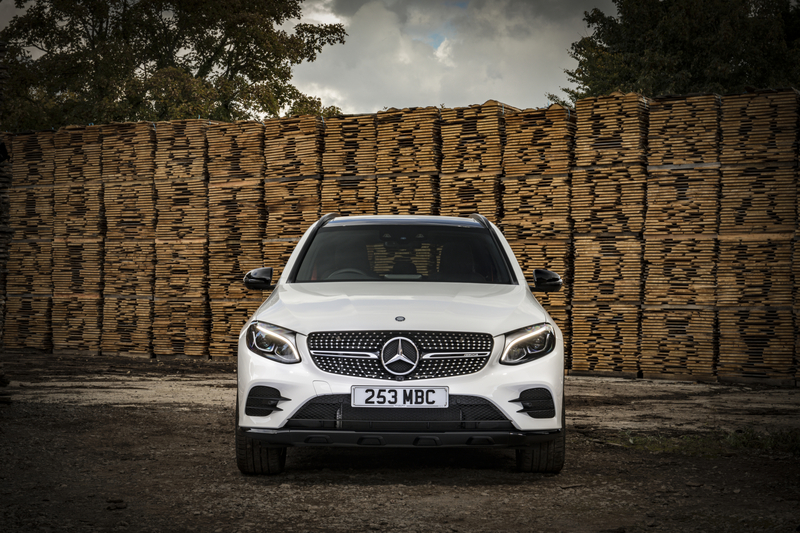 Now, we wouldn’t be surprised if faces become screwed at this point – and we would have probably joined you before we spent a week with it – but the mouthful that is the Mercedes-AMG GLC 43 4Matic is actually very good. 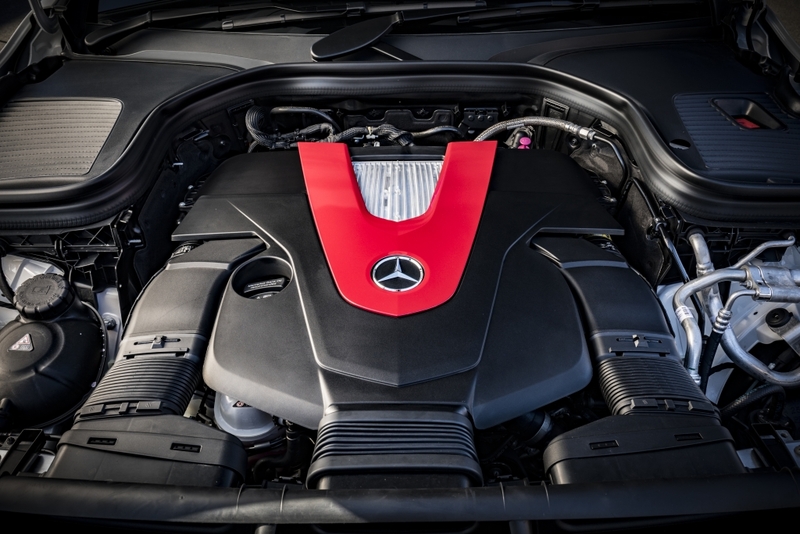 Underneath the bonnet lurks a 3.0-litre biturbo V6 that develops 367hp and 520Nm of torque at 2500-4500rpm. This is no full-fat 4.0-litre AMG V8 but it seems to perfectly compliment the GLC’s relatively svelte frame and packs more than enough of a performance punch to do battle with Porsche’s Macan Turbo and the Jaguar F-Pace S.
Clamber into the SUV’s lofty cabin, thumb the stubby starter button and the V6 barks into life. It’s not quite the Satan’s shriek let out by the aforementioned AMG V8 but it’s a gentle reminder of the performance on tap. 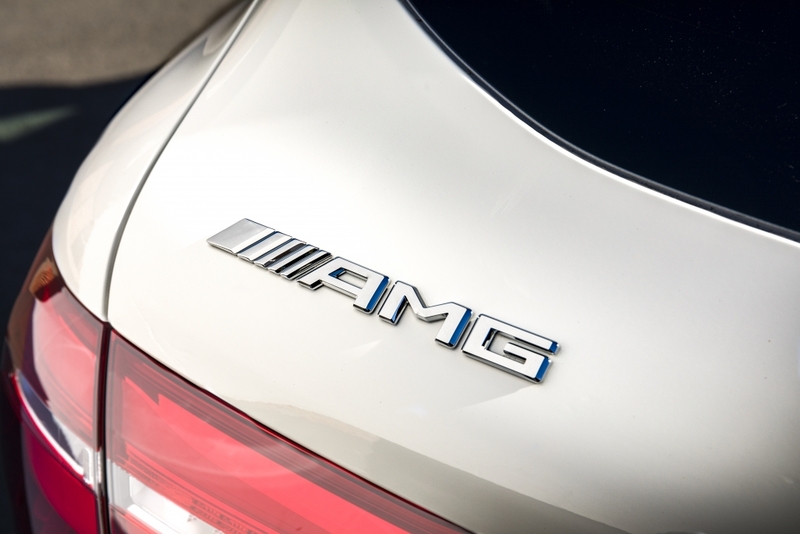 Other subtle hints, if you needed them, include the monstrous 19-inch alloy wheels, four chrome-covered tailpipes and beefed up AMG body kit that gives it a purposeful but not overly imposing stance on the road. When seated comfortably, thumb the Dynamic Select rocker switch into Sport or Sport+ modes the full fury of the sweet powerplant is revealed. An almost superbike whine from the exhaust is piped directly into the cabin, the steering and suspension firm up and the throttle response is at its most sensitive. Of course, the near two-tonne monster isn’t going to corner like a Caterham but it does a very good job of entertaining. The Air Body Control air suspension ensures the car feels planted when in Sport+ mode but will happily slink back to wafting over potholes when the fun is over. 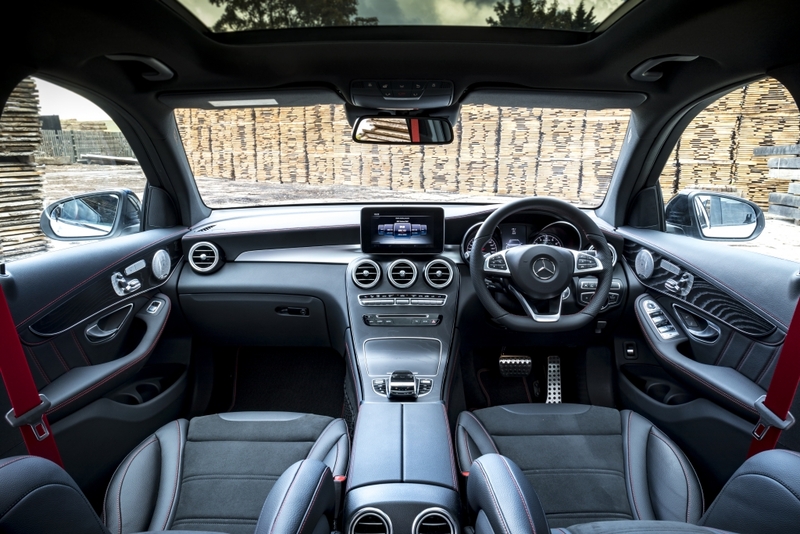 Inside, the GLC 43 is typical of any top-end modern Mercedes, with the marque’s Artico man-mad leather and soft Dinamica microfibre covering most surfaces. 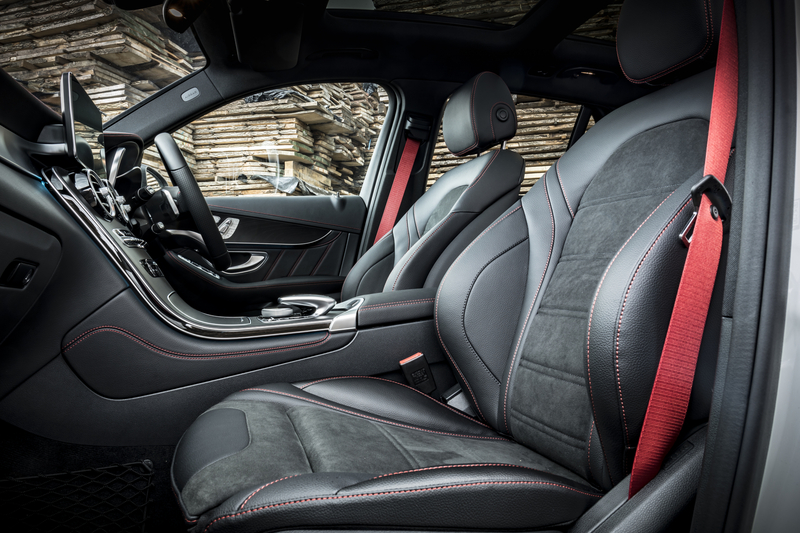 There’s also contrasting red stitching, bright red seatbelts and some rather fetching optional adjustable ambient lighting. This is in addition to the carbon AMG detailing on the instrument binnacles and Mercedes brilliant Comand in-car entertainment unit. Plus, the test model driven here was kitted out with the option Burmester stereo system, which is undoubtedly one of the best found in any car on the market today, and a neat head-up display unit that projects nav instructions and other info directly onto the windscreen ahead of the driver. A week’s driving threw up a few minor niggles – the first being a hefty centre console that intrudes into the driver footwell, making it feel a little cramped. The engine can also drone on a bit during long motorway drives, especially when the nine-speed auto gearbox kicks down a few cogs. Oh, and you’ll be lucky to get near the 30mpg mark when driving it everyday but that’s not likely to be a worry for most owners, considering basic models start at just shy of £50k. And this is a vehicle you can use everyday, with very little complaint. There’s loads of room in the boot for big shopping trips and plenty of space in the back to seat three adults in luxury. The drive is relaxed when you’re not pushing on and the excellent low-speed manoeuvre assistance systems found in the more expensive Premium and Premium Plus models make parking the thing extremely simple. “But does it go off-road?” we hear you cry. Probably. We didn’t really want to test the theory in a near-£60,000 car but the air suspension can be jacked-up at the press of a button and the 4Matic all-wheel-drive system is clever enough to get out of most jams. 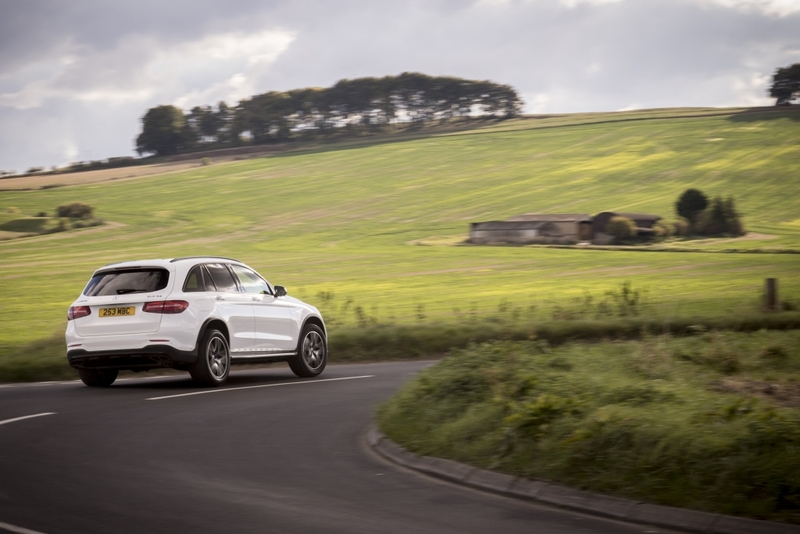 If you’d have asked us if we wanted a Mercedes-AMG GLC 43 at the beginning of the week and we would have probably answered with a resounding no. But rack up the miles and it’s hard not to fall for its ‘do-it-all’ charms.